Art from the Heart - No minimalist white walls, no pushy sales spiels, no hefty price tags, and definitely no judgement. Art to Art is about finding art you’re going to love forever. Art to Art deliberately challenges the traditional art gallery model and is transforming the way we buy art. We saw a need for people wanting to own beautiful, original pieces that won’t break the bank and still allow your family to go on that holiday! Art to Art has built a reputation for uncovering and building relationships with some of Australia's most talented artists. 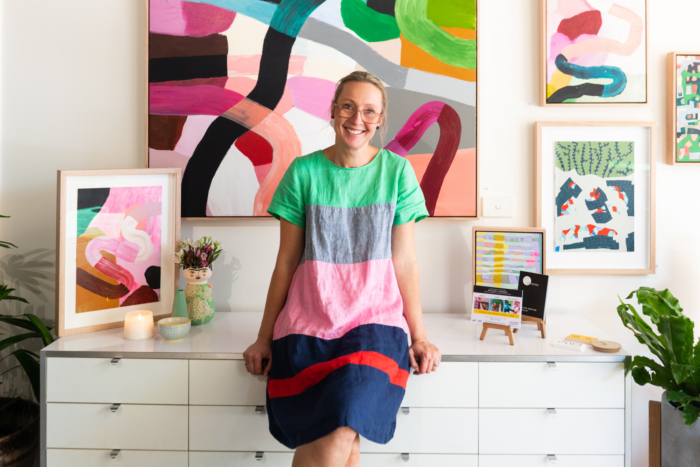 Art to Art is the brainchild of Philippa Demase. With a successful career in graphic design underpinning her approach, Philippa has the rare ability to pair art with your home. Homeowners and interior designers seek Philippa for her expertise in art styling. She offers a personalised consulting service where you, the customer, are in control of the buying process. Philippa believes a love of art is intuitive, not premeditated. She doesn’t confess to having a PhD in art, but her contagious passion for art is sure to give you the confidence to enjoy art as the artist intended. Art to Art was created to make buying art easy, exciting and most of all - fun. A wide variety of art can be purchased through Art to Art’s comprehensive website, or in person at Art to Art’s Balwyn North gallery (by appointment or during one of many Pop- Ups). If you’d like to explore your passion for art, add to your existing collection or start one from scratch, ask us about falling in love with art. Don't be shy, give Philippa a call on 0413 945 249. She won't bite! Art allows you to express yourself and can be a reflection of your personality. It allows you to surround yourself with pieces that you enjoy and can inspire you when you wake up in the morning.